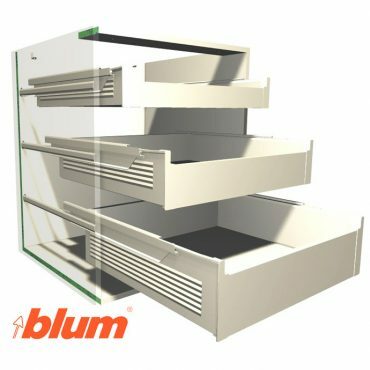 This Package adds the Blum METABOX (Full & Single extension) drawers and inner drawers to Cabinet Vision Solid. 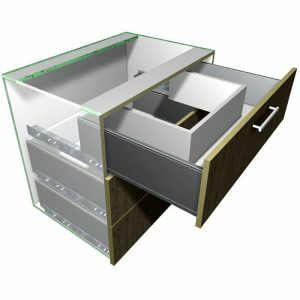 It provides drilling for the drawer box parts, the cabinet ends and the drawer front for CNC output. 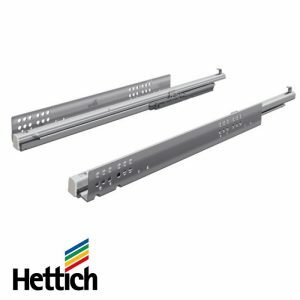 The runners and brackets etc are added as a separate parts and materials for reporting purposes. 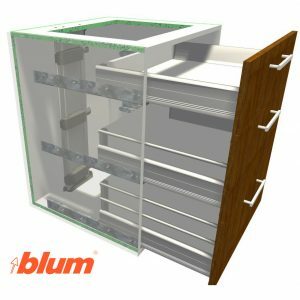 All material descriptions contain the Blum order number after the # symbol. 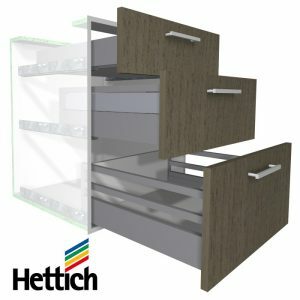 All profile heights can have 1 or 2 gallery rails added for drawers.